Controls your salt system! Perfect for use with saltwater chlorinators, the VJ-3 EnduraFlo has power relays which allow it to control your salt system on the same schedule that you program your pump for! 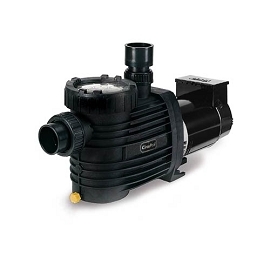 The CircuPool VJ-3 variable-speed saltwater pool pump is an excellent replacement for traditional & inefficient single speed pumps. Boasting 2.7 THP, its computer-controlled, multi speed performance can pay for itself in a single year, and continue to provide giant savings every year. With unmatched versitility, the CircuPool VJ-3 is at home on everything from large residential swimming pools to small play-pools and spas. Best of all, the VJ-3 is certified safe for use in saltwater pools. German-engineering gives it incredible durability, superior performance, and whisper quiet operation. Beyond its low-cost, environmentally-friendly operation, it has an all-composite, self-priming pump that also sets standards for the future by using 100% recyclable plastics which benefit the consumer and environment. I bought this pump about 3 months ago and it works great! Controls are easy to use, had a plumber install it in an hour. I also like the fact that it is Made in the USA! Great! I did a lot of research before I chose this, and it was the only one I could find that would also control my saltwater chlorine generator. Had problems in the past with synchronizing the generator with the old variable pump, but this finally gave me the right solution. This pump is easy to operate. Easy instructions. This pumps is great. It makes everything automatic since it controls the salt system so I hardly have to think about it, and I can tell that I'm getting much more filtration because the pool looks great. I love that I don't hear my pool equipment running anymore, not to mention it the fact that my power bill has been noticeably less. Excellent investment, I saw a big drop in my first utility bill after installing it. Plus, I hated my old pump it was so loud. I can't believe this pump is so quiet. My pool has never looked better. Q: Can VJ-3 control a CircuPool SI-60 SWG? A: Yes! 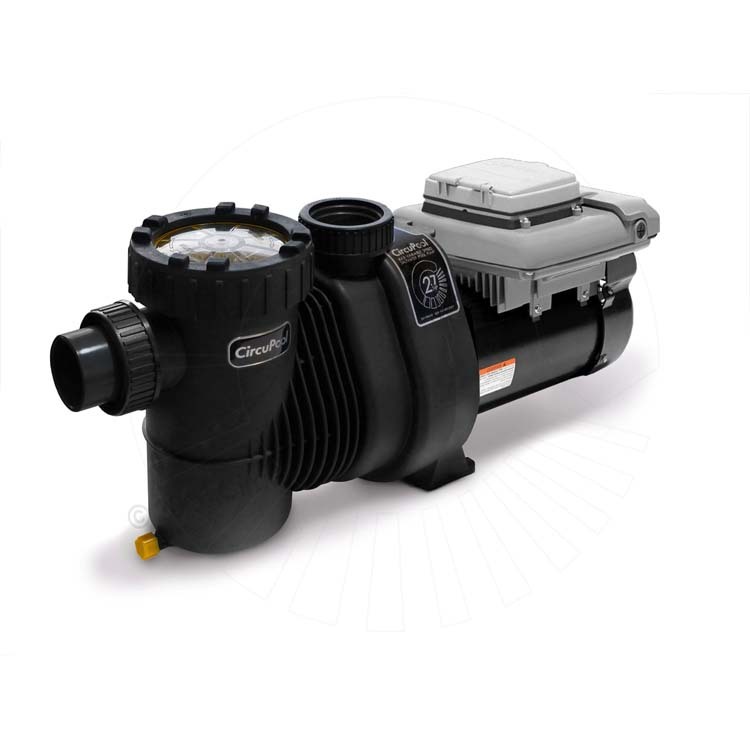 The VJ-3 EnduraFlo is one of the few variable speed pumps out there that has relays to control your saltwater chlorinator according to the same schedule that you program the pump to run. Q: Where can I get a replacement o-ring for the strainer basket on my VJ-3 pump? A: For that part, you can just give us a quick call to order it, or visit the manufacturer site directly. Q: what is the hoarse power? Q: Would this pump work on a fresh water pool in ground? 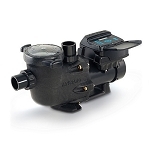 A: Yes, this pump can work on a traditional pool even if you are not already using a saltwater chlorinator. Even better, we offer package pricing on pumps and saltwater chlorinators so you could convert your pool to salt at the same time and enjoy all of the benefits of modern pool care along with the energy savings from the variable speed pump. Pump parts are made of 100% recyclable plastic. Non-corrosive, chemical/UV resistant, and can withstand temperatures of up to 175°F. 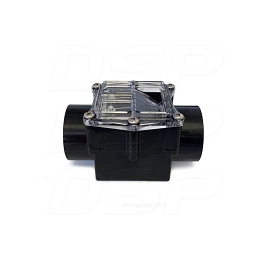 Suction and discharge are equipped with 2” quick disconnect unions for easy installation and maintenance. RPM levels can be set to range from 600 to 3450. The levels can be set in increments of 25. Programmable high efficiency TEFC (totally enclosed fan cooled) maintenance-free permanent magnet brushless 56 frame motor with Class F insulation. Freeze protection feature that can be turned ON/OFF or adjusted. 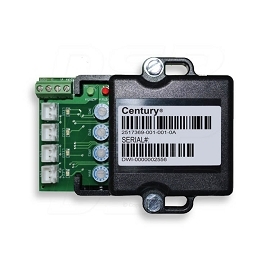 The controller can be removed and mounted away from the pump. Optional VLink™ WiFi pump controller allows you to easily monitor and manage your pool pump settings from a mobile device. 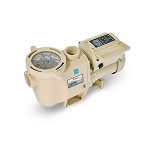 Traditional pumps operate at set, unchangeable speeds. Those speeds are almost always higher than required. As a result, they overpower the jobs they’re assigned to do, which wastes energy. 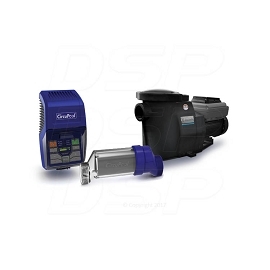 The EnduraFlo pump allows custom programming of optimum pump speeds for specific tasks such as filtering, heating, cleaning, spa jets and waterfalls. 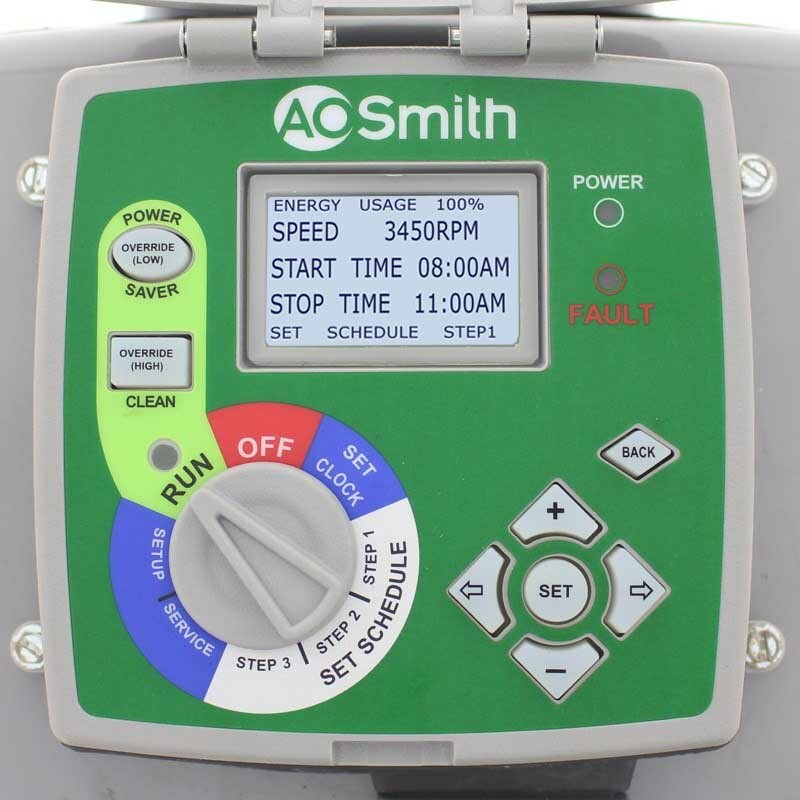 For virtually all applications, the optimum speed is lower than the preset, unchangeable speeds of older pumps. When water moves more slowly for longer periods, it helps reduce the occurrence of algae that forms more easily when water is pumped briskly and then allowed to rest for long intervals. Your filter works more effectively because it has more time to sift out particles from the water, and because particles aren’t forced through the filter media under needlessly high pressure. Automatic chemical dispensers and chlorinators also work better when water is kept moving.